The Internet is great. It allows connectivity and access to almost all knowledge of the human world. It's a giant hive mind of information that everyone with a non-firewalled connection can gain access to. But just like a human mind, the hive mind has access to emotions and memories of past events and statements. Or even present dumb moments that were unfiltered before the mind had time to think things through and make rational points. The issue nowadays is having someone create something that you like or even love and finding out that your views don't align with theirs. I'm not talking about someone not being a fan of Star Wars or a difference of opinion about a fictional work but someone's feelings about actual groups of people and their interpretation about the reality of injustice. This brings me to Max Landis. 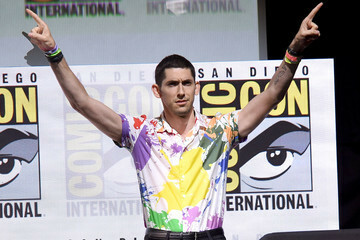 Max Landis is the son of famed director/writer/producer John Landis and has been developing his own list of directorial achievements and success as a screenwriter from a young age. 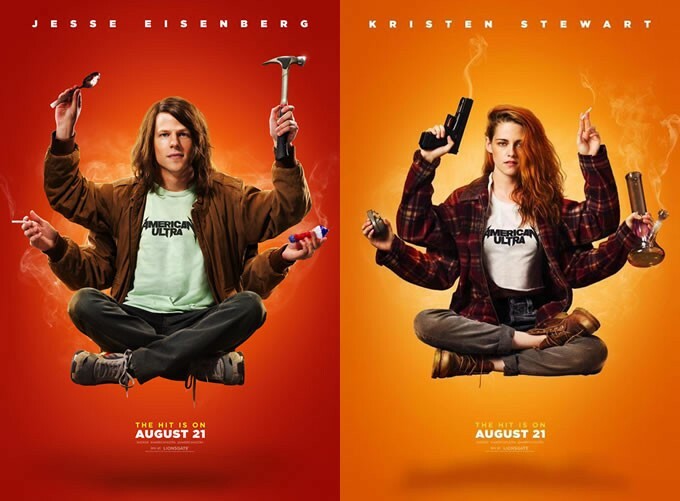 He has worked on numerous properties, including American Ultra, Chronicle, Mr. Right, the Channel Zero series on SyFy and the upcoming Netflix fantasy/science fiction film Bright, starring Will Smith and Joel Edgerton. Max's stories seem to share a thread of utilizing the flow of the universe to achieve things in an almost predictive way. By not fighting against the direction of fate/destiny/the universe his characters are able to do amazing things and accomplish incredible feats. This is very present in the BBC America series Dirk Gently's Holistic Detective Agency. Season two started last Saturday. It's fun. What attracted me to Landis' work was this idea of using the universe as a guide and his unbridled love of comic book characters, particularly Superman. This was on clear display in the YouTube short film made in 2012 called The Death and Rebirth of Superman which is Max's Drunk History-esque retelling of this arc of Superman. He is funny and tells the story pretty much as it happens with his actor friends performing the roles of the comic book characters in the story with D-level production values. 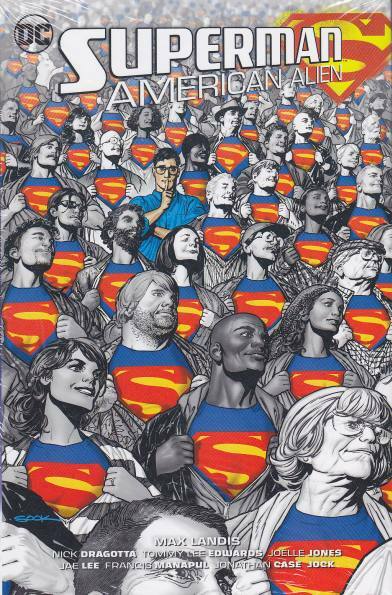 Max would ultimately write a 7 issues series called Superman: American Alien, a modern retelling of Clark Kent's life as he takes the early steps to become Superman which was illustrated by many famous artists, including Tommy Lee Edwards and Jae Lee. It's a good read. Gonna read it again today. With all this geek credit and fun stories he presents, Max Landis should be a slam dunk for a person to root for and enjoy their work. 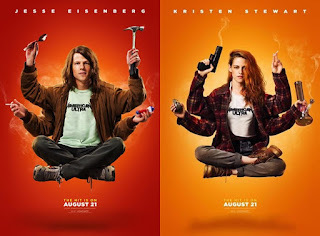 Hell, he even made me interested in a movie starring Jesse Eisenberg and Kristen Stewart, two people who I'm sure are nice but usually bore me, in roles as stoner super government agents. Why did I enjoy this? Am I high? The problem with Max Landis is he is problematic. A repeat offender problematic guy. Max has lambasted the character of Rey in Star Wars: The Force Awakens as a "Mary Sue", or a female character who has immense skills and is sometimes used as an author's stand-in. His issue was that Rey's abilites were unearned and I would argue that Landis' Force understanding is off and it is a problematic statement that is part of a pattern with Max. He later made a similar statement about Amy Adams' character in Arrival and argued that Jeremy Renner's character in the movie was her sidekick which would only be a problem if you think that most movies aren't built the same way with simple role reversals. Landis has said the idea of the film is an "incredibly executed original idea" but had a problem with this dynamic. This seems strange. Landis has also had issue with Jyn Erso's character and Gamora from Guardians of the Galaxy. Landis has expressed issues with the new reboot of the Ghostbusters, some of which I could agree with, and the Scarlett Johansson casting in the live action Ghost in the Shell film and how it was necessary because there are "no A-list Asian female celebrities right now on an international level." He later says his statement was because Ghost in the Shell is a movie with a crazy concept (side eye to that) that needs a huge star to back it to make it a success. We all know how that turned out. Bad. It turned out bad. Max has also had an odd ongoing Twitter/YouTube beef with director and screenwriter Lexi Alexander. Lexi directed Punisher: War Zone and is an accomplished martial artist who works on her own projects outside of the studio system while advocating for more diversity in Hollywood. In this role, Lexi commented on the gender issue in movies and television and Max felt attacked and has made a video or two trying to get his fans to bombard Lexi with calls to contact Max and "discuss" her views on how Hollywood works against women. This wasn't done in a meaningful growing way but in the manner of a person who wants you to say "the system is bad but I'm a good person" without doing any of the actual work to prove this like an adult would. This is my issue and it has repeatedly come up with other creative people like this. I really like Max's work. I like the whole "follow the path of the universe" vibe running through it and I can tell that there is a love for the characters he creates and works on. He has been immersed in the Hollywood and geek world forever and it shows, both good and bad. The problem is that nobody is perfect. Humans are humans and will be offensive at any and all times, even the humans whose work you really like. The issue is that people need to take responsibility for their actions and statements and continue to evolve. The world is evolving. The old ways don't work anymore and entertainment needs to be more embracing of diverse ideas, viewpoints and acknowledge that there is still issues to overcome. The reaction shouldn't be an automatic defensive response to criticism. Criticism is how we grow, particularly when it is coming from a populace that has been historically discriminated against. The goal of entertainment should be to create and exhibit what you love but this doesn't mean that you contribute to the evils of the world. Do what you are comfortable with but step back and try to understand the points that the unrepresented are making even if you are used as an example of the problems of that group. Women, LGBT and POC state this kind of stuff so people can recognize the problems and do better. The gut reaction shouldn't be to automatically throw up a wall. It should be to learn. Do I think that Max hates women? No, not to my knowledge. Is he sexist? At times, yes. Definitely yes. He also has the same blinders to the issues of others and a low level of empathy that people in postions of power have, particularly white males in industries that have catered to these guys for years. It is actually sort of funny that he complains about characters getting things unearned when he is famous because he is the son of a legendary creator. He is even remaking his dad's film An American Werewolf In London soon. This is not to knock his own achievements or his work but the willful blindness at times makes it hard for me to enjoy his creations. And he isn't the only one. I like Max Landis' work. He has the potential to do really creative things. I just hope he learns. I hope they learn. I hope we all learn.